If you're responsible for conducting risk-based facility audits (foreign or domestic) against internationally recognized food safety standards designed to mitigate risk, promote food safety, and enhance consumer confidence in the food supply, then the RFSA credential is the right choice for you. Upon submitting a completed application, the RFSA credential holder will be prepared to complete 3rd party audits. 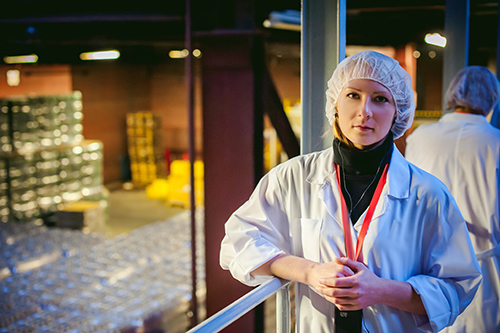 Hold a current Certified in Food Safety Supplier Audits (CFSSA) credential. Audit or inspection experience of a minimum of five audits in one food sector/category (equaling a minimum total of 80 hours) with the audits meeting or equivalent to an audit program within that same sector. Acceptable sectors are Human, Animal, and Produce. Only experience within the past 18 months of the RFSA application being submitted will be accepted. Have a sponsoring Certification Body (CB) submit an acceptable Witness Audit Checklist in one food sector/category. The Witness Audit Checklist must align with the audit or inspection experience as outlined in requirement 2. Food Safety Magazine published two articles, NEHA Credential Creates a Professional Pathway for Food Safety Auditors and New Food Safety Auditing Credentials, that outlined the work that went into creating the RFSA.